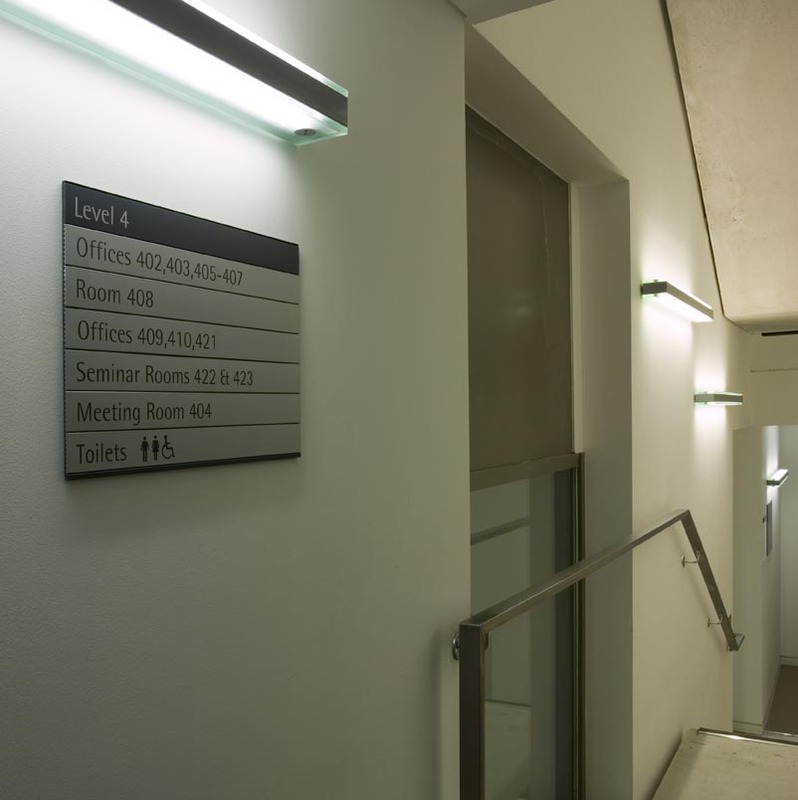 Reaich & Hall Architects Computing Science Extension for The University of Glasgow added to a series of Victorian terrace buildings in Lilybank Gardens. 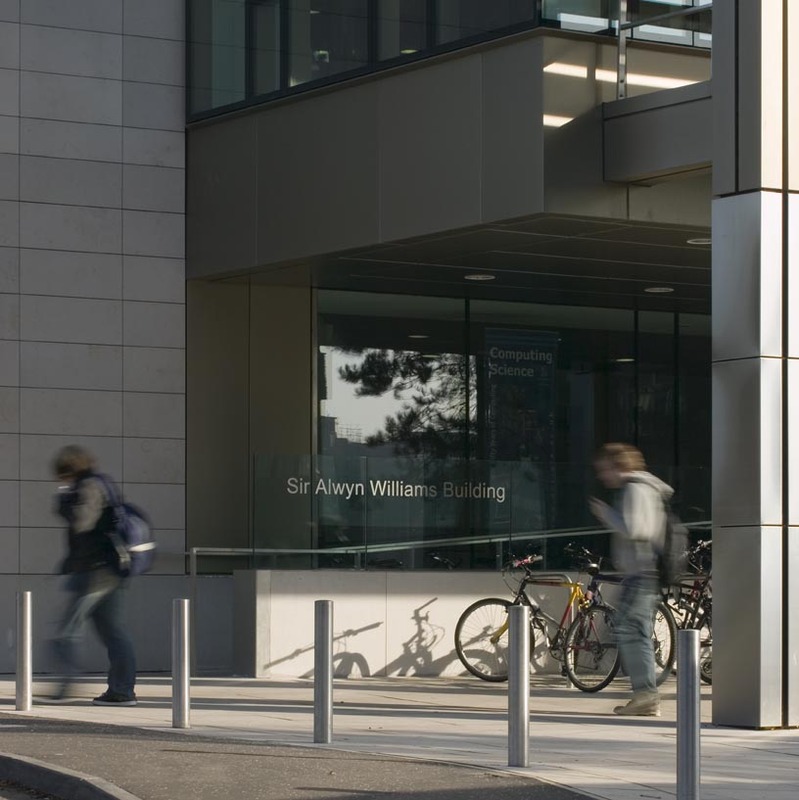 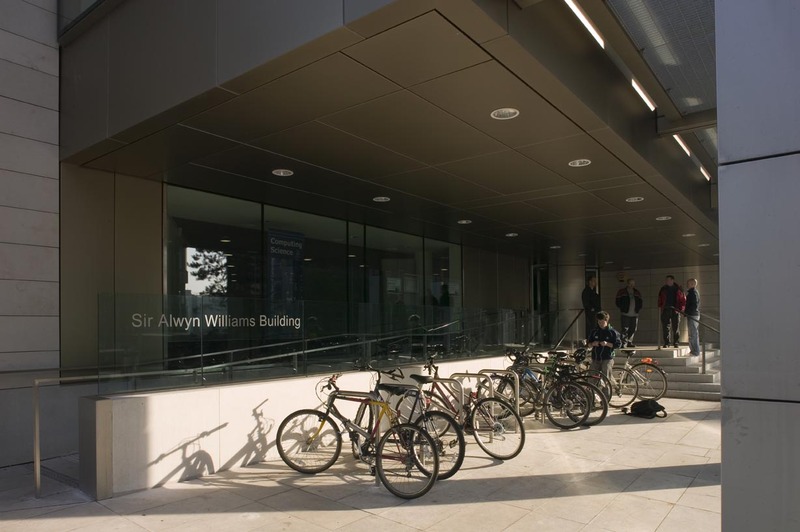 A new accessible entrance and circulation core was created with research and teaching facilities alongside break-out informal areas. 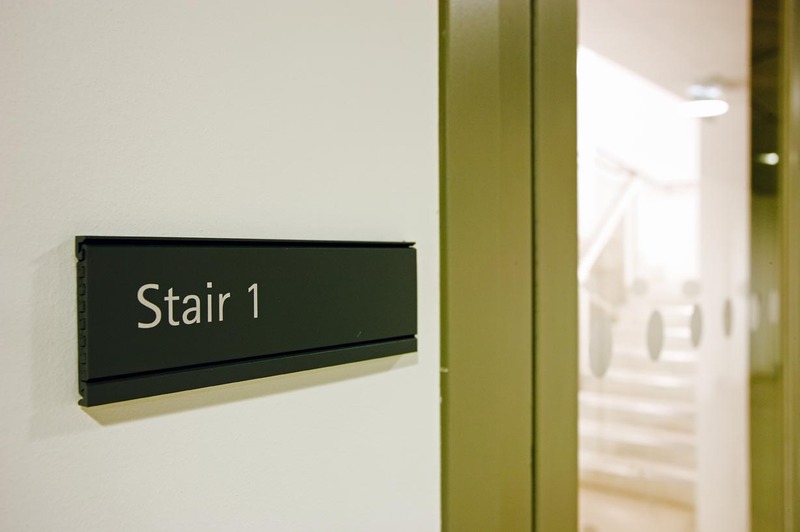 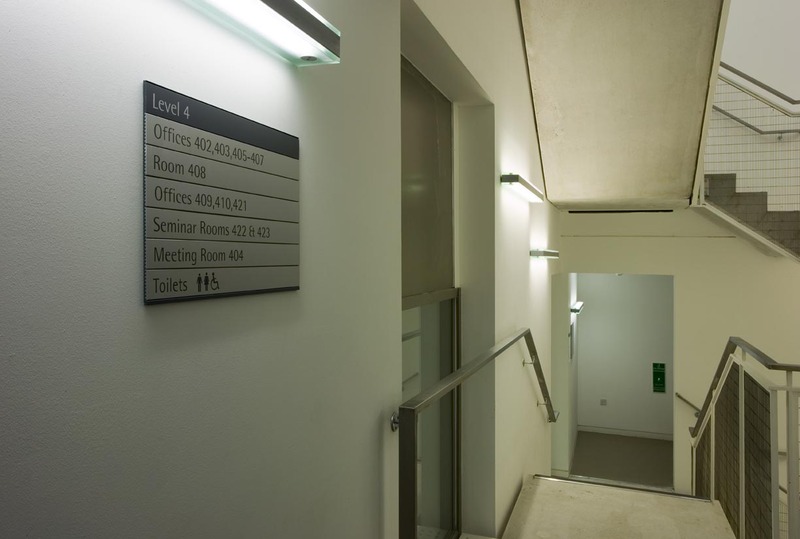 Clear wayfinding signage was required to establish the routes between the new entrance & the original stairwell.